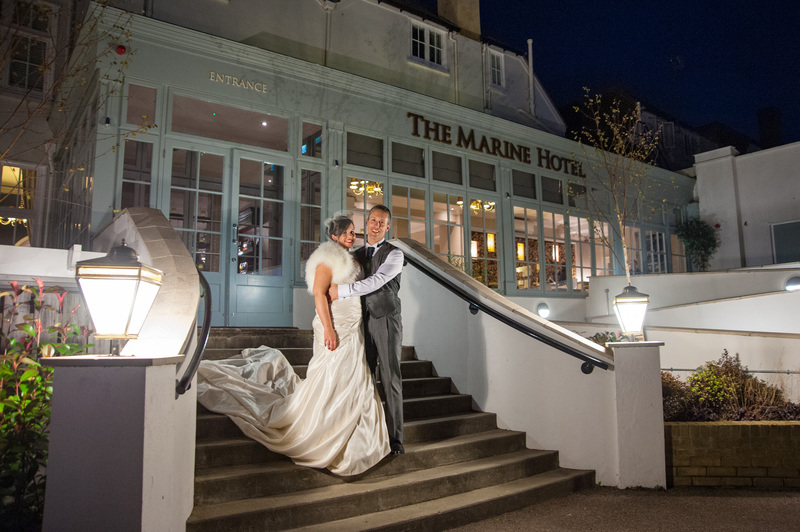 One of the finest licensed wedding venues in Whitstable, The Marine Hotel offers couples a complete package for the big day - including wedding breakfasts, evening receptions and of course, accommodation for guests. With the hotel overlooking the stunning Kent coast, the sea views make a truly memorable backdrop for those precious wedding day photos - and with an expert team on board to help with the planning and ensure the smooth running of the wedding day, The Marine really is one of the most sought-after Whitstable wedding venues of them all. Take a look at our wedding brochure below to find out what makes a wedding at The Marine so special. To Kate and Staff at The Marine Hotel, Thank you for making our day so special , everything went perfectly and we were so well looked after, we couldn't have asked for more. It will be a day we will always remember and the Marine Hotel will always be a special place to us. Kate you truly do go above and beyond. You have always been so welcoming and friendly and we appreciate all the help you gave us, and making the arrangements for our special day. Thank you from the bottom of our hearts. Lots of love and best wishes. Dear all at the Marine, Thank you so much for all you did to make our day extra special. The attention to detail was fantastic, you really are a great team. We look forward to popping in for some fantastic food soon! Thank you all so much. To Everyone at The Marine, Thank you for everything you did, we both couldn't have asked for more. Great staff and service. A heartfelt welcome awaits you at the Marine Hotel- the perfect setting for your most special celebration.